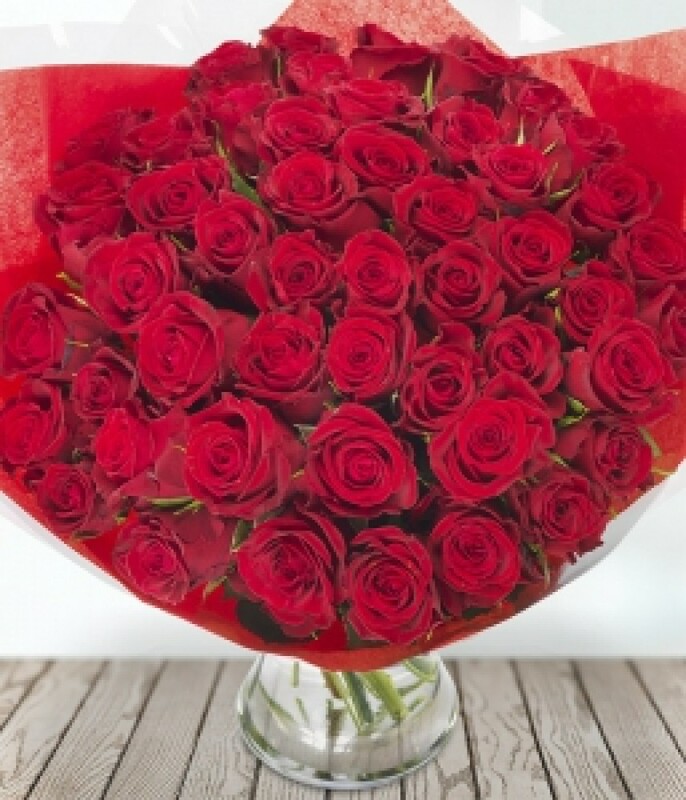 A generous and sumptuous bouquet of 50 Sweetheart red roses. An ideal romantic flower gift. Please Pre-Order day before.